This is my kid’s favorite gravy. It makes everything taste wonderful. We love it on mashed potatoes, brown rice, seitain, soy curls, whole wheat bread and simply by the spoonful. We use McKay’s beef style vegan seasoning, but you can use whatever flavoring/seasoning that you like. Most seasonings are pretty high in salt – so just be careful and plan the rest of your meal and day taking into account the salt content of the gravy. 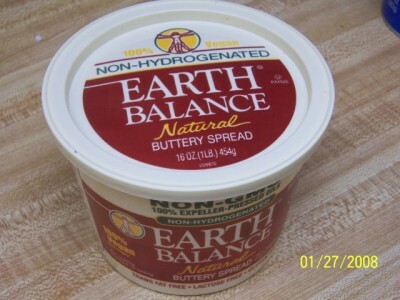 My first ingredient is Earth Balance, a natural buttery spread made without andy hydrogenated oils. 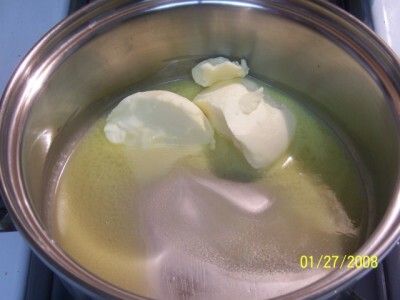 Earth Balance has a wonderful taste – just like butter- and is usually less expensive. All of the ingredients are non-GMO which adds to its appeal. 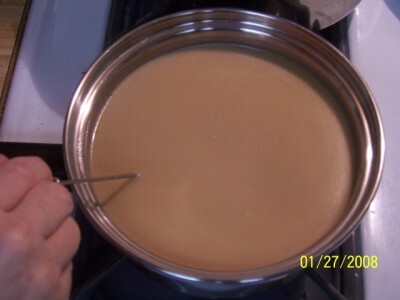 I am making 4 cups of gravy in this recipe, so I am starting out with about 1/3 cup Earth Balance. 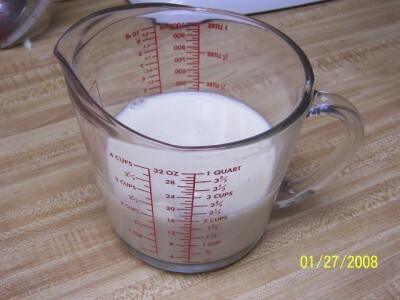 The general rule of thumb is 2 Tablespoons of Earth Balance for every cup of gravy. 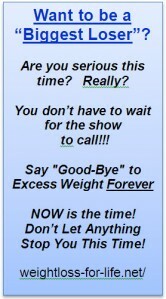 That can get pretty fattening, so you may want to cut it back to 1 Tablespoon. I tried eliminating the Earth Balance, but the gravy just didn’t taste as good. 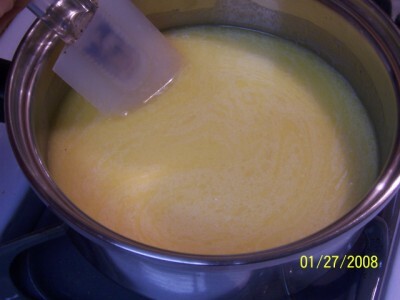 Next, we are going to add 2 cups soy milk. Make sure it isn’t a flavored soy milk or the gravy will taste a little funny. Rice milk or almond milk will work just fine also. 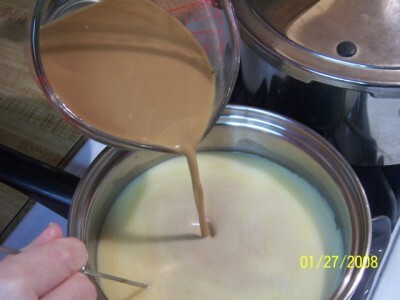 After the Earth Balance is melted, add the 2 cups of soy milk. Be sure to stir while adding the milk. 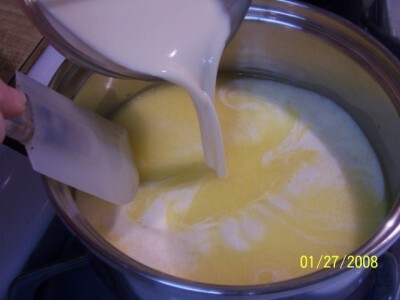 Stir while adding the milk and the entire time it is heating. I generally keep the flame at around a medium setting. If you are really in a hurry, you can turn the flame up, but then you REALLY have to stir it continuously. The lower the flame, the less you need to stir. Next, we are going to add the rest of the liquid and the flour and beef style seasoning. 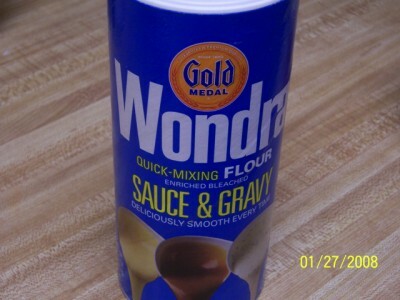 The flour I like to use is Wondra, quick-mixing flour. 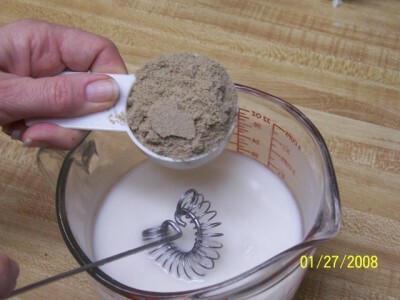 It is a smoother ground flour and is much easier to blend without lumping. Any all-purpose flour will work if you don’t have Wondra. Make sure to whisk the flour into the water. 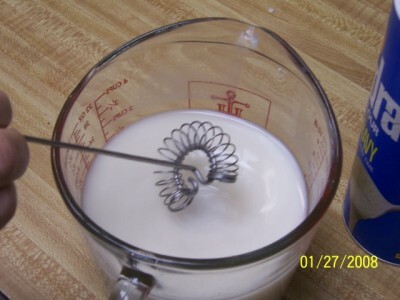 I love this little flat whisk I bought from Pampered Chef, but any whisk or fork will do. Next, add 1/4 Cup McKay’s beef-style vegan seasoning. You can use whatever seasoning you like best. 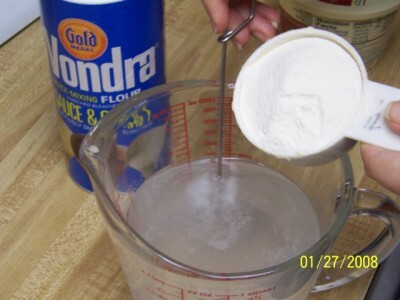 Whisk the addition in well to the flour and water. Depending on the seasoning you use, it may have a tendency to lump – so stir, stir, stir. 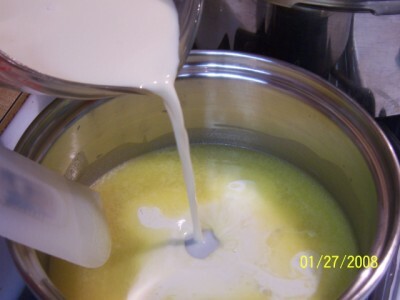 Now, add the water, flour and beef-style seasoning to the milk and Earth Balance already on the stove. Now is when you really need to stir, stir, stir the gravy. If I am going to get lumps, it is normally when the gravy is first fully mixed and beginning to heat. 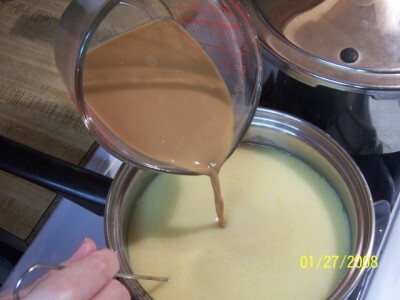 All you have to do now is stir the gravy over medium high heat until it begins to thicken. The trick is to not sample too much of it along the way or you’ll have no room left for dinner!